. Published on May 13, 2016 . Cozumel, Mexico is a heavily forested gem in the blue of the Western Caribbean. Its name comes from the Mayan Kùutsmil, meaning place of the swallows. In antiquity, it was sacred to the Mayan Goddess Ix Chel and a place of pilgrimage. Today at San Gervasio, the remnants of over 40 temples still stand in the deep green of the jungle. Across the channel from Cozumel, on the mainland, stands the ruins of the ancient Mayan cities of Tulum, Coba, and the famous Chichen Itza. Also, close to Cozumel is the world famous Cancun, and a day trip from Cozumel to Cancun isn’t out of the question during longer port calls. The beaches, ruins, and adventure parks of Cozumel and the mainland Yucatan offer experiences you’ll find nowhere else. Every cruiser, from brainiacs to adventure travelers, can find excitement when their ship stops in Cozumel. Visitors have been coming to Cozumel for over a thousand years. It may be interesting for cruisers to see what the first visitors to the island came to see. The ruins at San Gervasio were originally called Tantum Cuzamil. It was a temple complex of over 40 temples. The most famous building at the temple site is called Las Manitas, or the hands, it gets its name from the mysterious red hand prints on the rear wall. Natural beauty may be what prompted the Maya to make Cozumel a sacred site, but the island went unrecognized by modern people until Jacques Cousteau called Cozumel one of the most beautiful places in the world to scuba dive. That enchanting beauty isn’t just under the sea but continues onto the shores of Cozumel, and across the channel to the east coast of the Yucatan or as it’s sometimes known as the Riviera Maya. Carnival, Royal Caribbean, Disney, and Norwegian Cruise Lines all offer 7 day Port Canaveral cruises to the Western Caribbean, with Cozumel as a Port of call. To take care of all your cruise hotel accommodations, parking, and transportation needs, check out Go Port Canaveral’s Fly Snooze Cruise and Snooze Park Cruise packages. Only need transportation? Then check out our transportation packages for the Orlando, Melbourne, and Sanford Airports. On the island, cruisers will find beach resorts just south of the Cozumel cruise port. Paradise Beach is a resort with inflatable slides, climbing features, and other play floats anchored right next to the beach. Adults may prefer to relax by the pool that has a flooded lounge deck with chairs right in the water. Although you’ll have to get out of the water to get to the poolside bar. Further south is the Playa Mia resort that has fewer floats, but has thoughtfully provided some underwater Mayan “Ruins” for snorkelers to enjoy and has what seem to be some excellent water slides. More uniquely the Play Mia also has highly rated cooking classes. Finally, at the southern tip of the island is the Punta Sur Eco Beach Park. It’s nestled between the sea and salt marshes, and it’s possible to see some of Cozumel’s unique wildlife here. The island is home to many species found nowhere else, and they’re almost all threatened with some thought to be extinct. The Punta Sur is one of the places you can hope to see some of this rare wildlife without having to plunge into the jungle, and you’re almost certain to see the non-endangered, but still very impressive American crocodile. Offshore, all around Cozumel, are coral reefs. The easiest to see is at Chankanaab Lagoon. This shallow lagoon is only 20 feet deep, and offers swimmers beautiful views of coral heads and fishes without a lot of equipment or technical expertise required. Paradise and San Francisco reefs are in relatively shallow waters at about 50 feet of depth or so. They can be enjoyed by both snorkelers on the surface, and scuba divers who want to get a closer look. Palancar Reef is the one that so impressed Jacques Cousteau, and made Cozumel famous. It’s a 3.5-mile section of barrier reef with a range of diving depths along its length. Casual divers can explore the caves and tunnels at the top, and get experience diving in areas with drift currents. However, the well known big horseshoe formation at Palancar is 100 feet deep, and is best handled by experienced divers. The Santa Rosa Wall and Punta Sur wall reefs are found at the divide between the shallows and deeper waters. They’re exhilarating dives due to the way the currents pull divers along. This does mean that they’re best enjoyed by experienced divers who are familiar with being pulled along by strong currents. 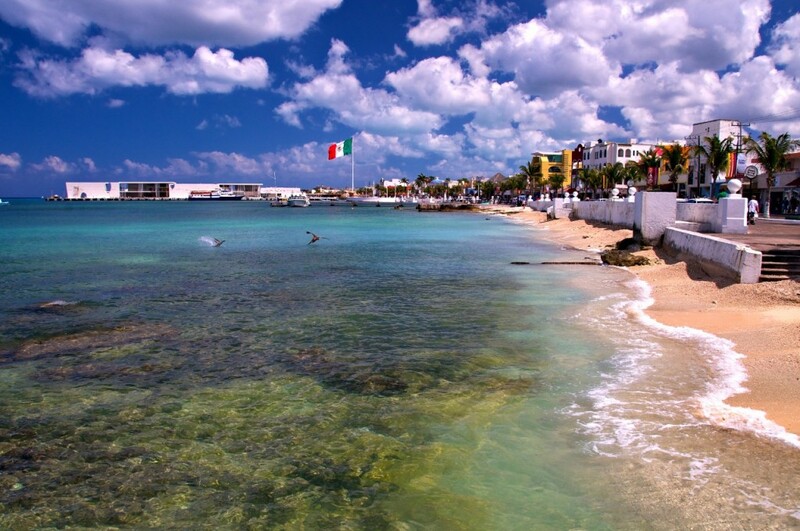 If you’re interested in crossing to the mainland while in Cozumel, you’ll need to head north to San Miguel and the ferry that connects Cozumel with Playa del Carmen. It departs every hour from 6 AM to 9 PM from Cozumel to Play del Carmen, and from 7 AM to 10 PM for the other way. San Miguel is also home to the best shopping on Cozumel with brick-and-mortar retail outlets, rather than the stalls of a straw market. Right across from the ferry terminal is the Pama Cozumel, an upscale duty-free store selling brands like Cartier, Chanel, and others. 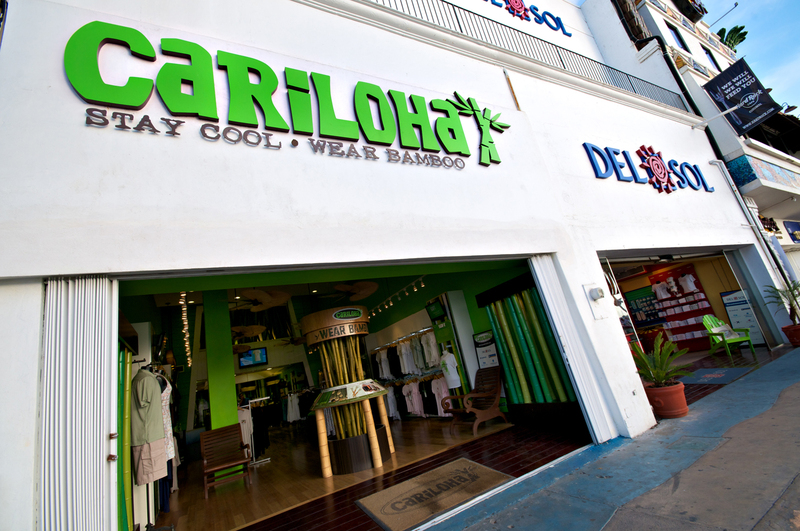 Right next door is the Cariloha store, where they sell clothing, bedding and bath goods made from eco-friendly bamboo. They also carry a bamboo fitness line that’s ideal for working out since it naturally wicks moisture away from your body and repels odors and allergens, too. They have something appropriate for every age group. It’s definitely worth checking out while you’re in Cozumel, and you’ll find something that suits your style. The mainland of the Yucatan is the homeland of the Maya, and the ruins of their ancient civilization are still viewable today. The two largest ruins are the cities of Chichen Itza and Coba, and are about an hour-and-a-half to two hours away from Cozumel. These might not be practical to see on a single day port call. However, the cliff top ruins of Tulum are right on the shore across from Cozumel and can be visited relatively quickly. The Tulum ruins are also better preserved than what can be seen at the two larger sites. The Yucatan is also home to a unique geological feature called a cenote. Effectively, it’s a sinkhole that drops straight down into the aquifer. Along the eastern part of the peninsula, these cenotes are often connected to cave systems that are extensive. Swimming through a cave while enjoying the light of a tropical sun is an experience you won’t find anywhere else. Xplor Park is probably the largest company offering cruisers the chance to swim and raft through these caverns, or zipline across the top. 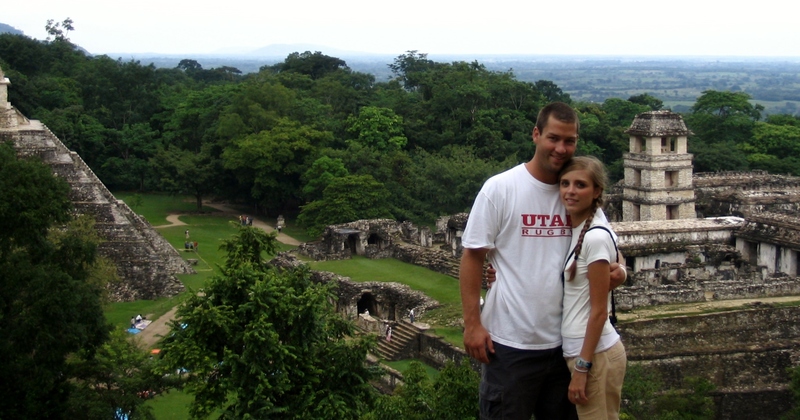 In addition to this, they offer a wild drive through the Yucatan jungles and caverns in amphibious ATVS. They also offer the chance to do both at night, by torchlight. Smaller operations also offer a cenote swimming experience. They might not be as extensive, or as adventure oriented, but they tend to be more leisurely. Cruisers can explore at their own pace rather than run through a set course. 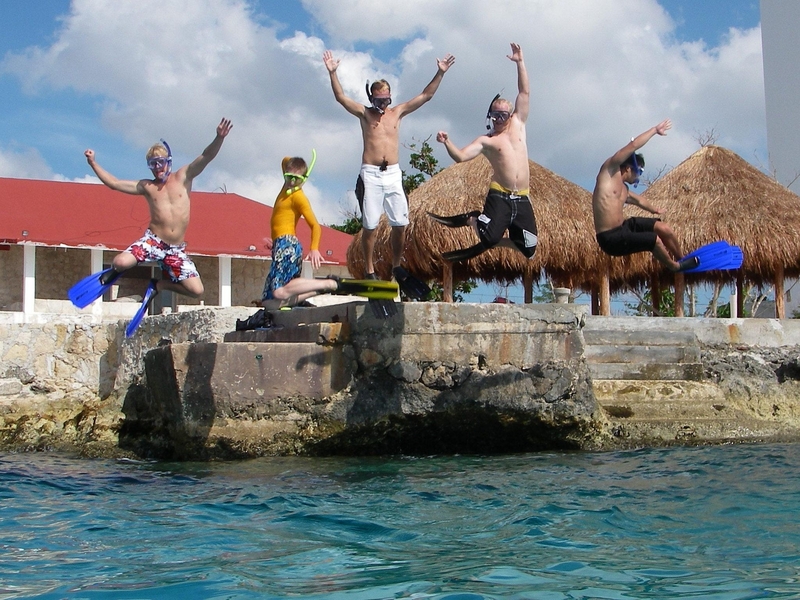 Cozumel is an amazing port of call, and a routine stop on Western Caribbean cruises. For cruisers who are only spending a day ashore on the island, it can be difficult to choose just one thing from all that’s available. In that case, a quick trip to San Gervasio followed by drinks at one of the resorts, or admiring the beauty of the Punta Sur Eco Park is a great way to spend the day. If you do have more than one day in port, then we highly recommend taking a ferry across the channel to take in your choice of the amazing sites on the Yucatan before spending the final day relaxing at a beach resort.